Please see below for our Privacy statement. Bar-globes.com reserves the right to change prices. Prices at the time of placing an order are valid throughout the buying process. *At times where software or human errors for instance list products with an obvious faulty price, Bar-globes.com reserves the rights to cancel the order -notifications will be given. Bar-globes.com reserves the right to change its stock availability on the site and to remove items from the product range before a purchase has been registered. If the package and/or the content is damaged upon arrival, please report it to the courier upon delivery. When returning goods to us, do not use snail mail as this is uninsured (and you will not be reimbursed if the package is lost). Always keep your receipt. If you notice any damages when you unpack your items, please contact us directly. Only Customers with a valid address may place orders in this webshop. 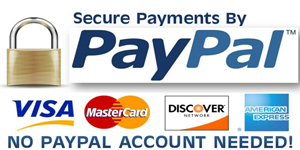 In terms of payment, we accept credit cards(PayPal):Like VISA and Mastercard. Making purchases in our webshop is secure by PayPal(SSL). For details on our security measures, please see terms and conditions. The shipping calculation on checkout can be wrong. When the calculation is wrong (to high or to low) we will inform you by email. Prices are stated in EURO, GBP, SEK, and more depending on your destination country. See the Currency Converter. Bar-Globes.com are registered in The Netherlands, and operate out of The Netherlands, under Dutch law. 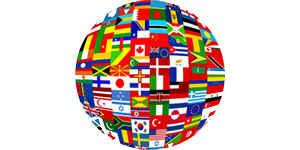 All content included on this site, such as text, graphics, logos, button icons, images, audio clips, digital downloads, data compilations, and software is the property of Bar-Globes.com or its content suppliers and protected by international copyright laws. This site or any portion of it may not be reproduced, duplicated, copied, sold, resold, visited, or otherwise exploited for any commercial purpose without the expressed written consent of Bar-Globes.com. Bar-globes.com privacy statement is designed to demonstrate our commitment to privacy. We respect your privacy. Any personal information that you provide is used for the purpose of giving you the best possible information. In our feedback form and digital catalog form, we ask you to give us certain contact information, which is needed to send/reply to the information you requested. We also ask for other information, much of which is optional. Please don’t tell us things you don’t want us to know. Bar-Globes.com uses this information to better understand its consumer base in order to provide superior service. Unless we have your expressed consent, we will not disclose your personal information to any third parties. We will not sell, rent or trade your personal information to others for marketing purposes without your expressed consent. We may collect statistics regarding the use of our webshop, such as traffic patterns and related site information, but this information will not include any personal identifying information. Bar-Globes.com will only send you e-mails if you ask for more information. We might also use your e-mail address to confirm your order/request and to respond to any inquiries you make online. We will not pester you if you don’t ask for more information. When you subscribe to our newsletter you can be assured that your personal information and email address will not be sold, exchanged, or in any way shared with third parties. We keep your personal information private, and will only use your email address to send you the newsletters you requested. You can unsubscribe from our newsletter at anytime. If you are under 18, you may use our webshop only with the involvement of a parent or guardian. In accordance with the Children’s Online Privacy Protection Act, we will not knowingly collect any information from children under the age of 13. If you are under 13, you cannot register or give us any personal information. Please have your parents contact us to enter this information.